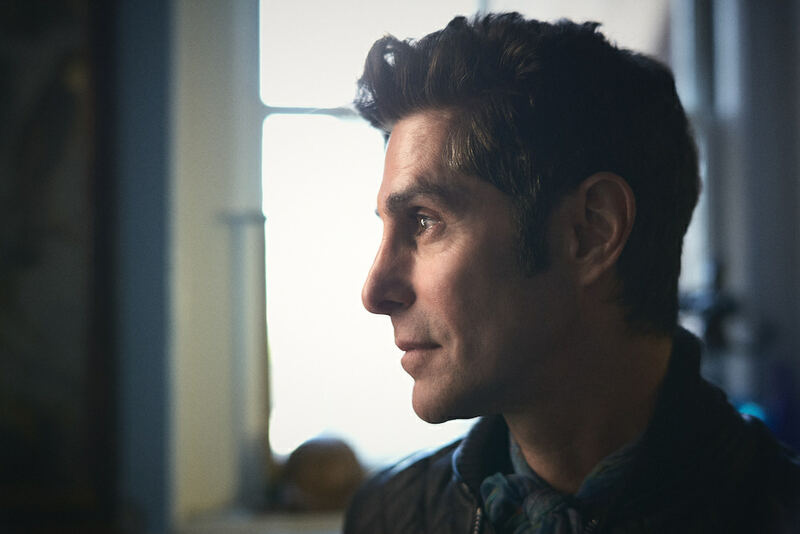 Born of his insatiable desire to innovate and entertain live music fans, Jane’s Addiction frontman and Lollapalooza founder Perry Farrell will release a superb and strikingly eclectic nine-song collection entitled Kind Heaven this June through a newly forged partnership with BMG. From the Jane’s Addiction-esque fervor of the 21st-century protest song, “Pirate Punk Politician” and the theatrical “Snakes Have Many Hips,” a song that could be performed on Broadway, to the decidedly electro pop of “One” and the rising tension of the dramatic, world music-flavored “More Than I Could Bear,” Kind Heaven is an amalgam of decades of musical fusion, all tied together by the voice of Farrell; one of the most recognizable and distinct frontmen of the last 30 years. Farrell sees Kind Heaven as a musical collective. “It’s always good to collaborate. You receive inspiration from others and if you are open- minded things just grow and accelerate,” he says. “I bring to the party voice, personality, and ideas about pushing the boundaries of live performance. I enjoy working with artists who have spent their life refining their craft and have become leaders in their fields”. Farrell points to the presence on the album of composer Harry Gregson- Williams and French electronic producer Joachim Garraud as masters of their craft that he recruited to help him fulfill his musical vision. Indeed, Farrell assembled a musical all-star team throughout the collection, with appearances by Foo Fighters’ Taylor Hawkins (“(red, white, and blue) Cheerfulness” and “More Than I Could Bear”)), the Cars’ Elliot Easton (“More Than I Could Bear”) . Farrell co-produced the album with Tony Visconti (T. Rex, David Bowie, Iggy Pop). binaurally and in Atmos surround sound, to be presented at the Las Vegas complex debuting in 2020 that will also bear the Kind Heaven moniker. The entire project is fulfilling Farrell’s dream that inspired Kind Heaven; to create a global circuit for international entertainers to reach out even further to music lovers. Farrell understands clearly that every revolution must have a soundtrack. In 1991, Lollapalooza changed the music scene with Jane’s Addiction spearheading the alternative movement. Kind Heaven the album has the passion and power to usher in a fancy new revolution, rooted in kindness and generosity. This album consists of a series of stories that form an overarching narrative set on the threshold of the messianic age. Every song has something to say, and whether you agree with the message of a song or not, Farrell believes you won’t be able to escape the energy and intention of these songs. He cites “Pirate Punk Politician” as the first example. “I’m looking forward to conservatives and liberals alike digging the song,” he says excitedly. The record covers as much ground lyrically as it does sonically, moving from protest and love songs to spiritual tracks. Perhaps the most compelling song is “Let’s All Pray For This The World,” an anthem that reflects Farrell‘s never-ending sense of hope for world unity, no matter how bleak things appear. “I’m inspired – driven – by the concept that we’re living on the threshold of the messianic era, a time that marks a paradigm shift in our collective consciousness. His unwavering enthusiasm shouldn’t be surprising. If you’ve followed Perry Farrell for the last three decades you know everything in his world is better together.